Similar to the Putt the Portal Drill, the Gate Drill helps you to get the ball started accurately on line. If you have an error with your path or problems with opening or closing the face, this drill will help you identify the issue and correct it. 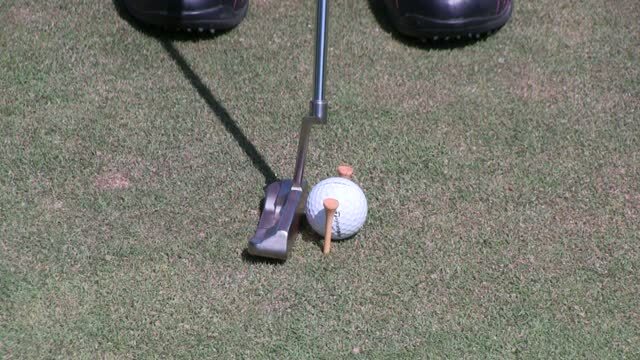 The Hover Club Putting Drill is helpful for those that are too tense at address. 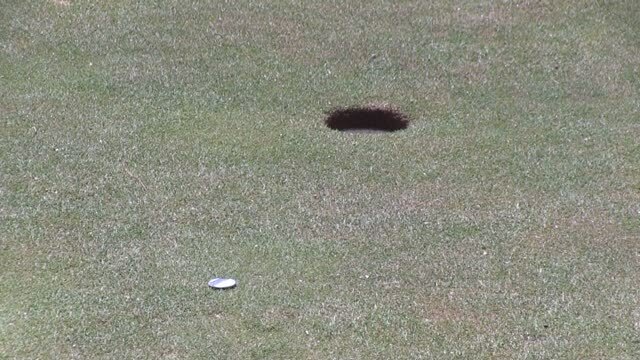 When the putter hits the ground on the takeaway or gets stuck it its often because the player is tense and is actually pushing the putter down into the green. The Stick Drill helps you develop a one piece pendulum motion in your putting stroke to eliminate unnecessary moving parts. The String Drill helps give your eyes a point of reference to see how your putter is moving along the target line to ensure you are making a proper putting path. The Chair Drill helps you keep your body still when you putt, eliminating excessive movement, which will make you much more accurate. The Quarter Drill helps you maintain your head position throughout your putting stroke, which will help you become a more consistent putter. The Eye Alignment Drill helps to make sure your eye position is in the proper place, over the target line and parallel to the putting surface. The Miss it on the Pro Side Drill will challenge you play enough break on every putt, which most amateurs fail to do, which will help you hole more putts or miss on the high side. The Pincher Drill will train you to get a nice smooth acceleration through your putting stroke and will help if you have the yipps or tense up when you are trying to hole short putts. The Using a Metronome Drill will help you groove a consistent putting tempo throughout your putting stroke for both short and long putts. The Bucket of Balls Drill trains you to become deadly accurate on short putts by forcing you to make these short putts over and over. The 2 Tees to Square it Drill helps you make sure you are smashing your putter face into the back of the golf ball dead square, every time. The 2x4 Path Training Drill helps you groove a consistent putting path, eliminating path errors such as too far inside out or outside in. The Arc Your Putter Drill helps you make sure you are properly arcing your putter on takeaway and not making a cut stroke. The Floor Training Drill allows you to monitor your putting stroke as well as your putting path to help groove the proper motion. The Hovering Spaceship Drill gets you lagging long putts to 3 foot or less, ensuring you eliminate 3 putts. The 2 Ball Drill helps you eliminate missing putts from pushing or blocking them by making sure you release the putter properly. 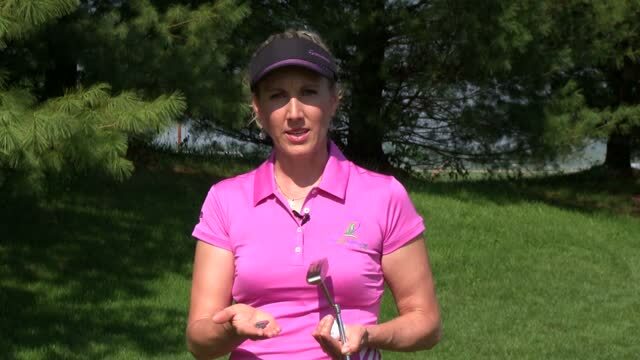 The Prevent the Cut Drill helps you to kick the habit of an outside-in cut stroke and gets you making more of an inside-out arc putting stroke. The 3 Foot Circle Drill trains you to develop better speed control on longer putts to ensure you eliminate lengthy 3 putt attempts. The Clock Drill helps you increase confidence and develop consistency on short putts while also helping you adjust for various break on putts. The Coin Stack Drill teaches you how to impart the proper spin on your putts by training you to hit the ball with an ascending blow just below the center of your putter face. The Putt to a Coin Drill trains you to become deadly accurate with your putts by helping you narrow your focus down to a spot even smaller than the hole. The Track it Drill teaches you how to make the same putting path each time and groove your putting stroke. The Putt the Portal Drill teaches you how to hit your putts dead center on your putter face, which will lead to increased accuracy and decreased mishits and off center putts. The Putt to the Fringe Drill helps you quickly gain a feel for the speed of the greens without adding pressure on yourself to make putts. The Flagstick Drill helps train you to give every putt a chance to go in, ensuring you get each putt to the hole, but also leave your misses as just a short tap in. The Basket of Eggs Drill will help you develop better speed control on your putts, ensuring you hit all the putts of a given distance about the same speed, ensuring they end up in or close to the hole. The Step Drill will help address any speed control issues you have on the greens and help you achieve better touch control on your putts. The Yardstick Drill helps you develop a system to gauge your putting stroke length for different distances of putts. The Close Your Eyes Drill will help you develop a great sense of touch and feel for the ball coming off the putter face.